If there is one thing that I've learned from dating Ross, it's that I should always take care of myself. Weird, right? You would think I would have known that my whole life, but I honestly didn't. I use to always put pampering myself on the back burner because there were so many other things I "needed" to be doing. I feel like many of us do that these days, especially twenty-somethings. We don't have time, don't have money, and so on and so on. I've learned that taking care of myself is especially important when I'm stressed out...which it so happens that I am this week and every other week. One remedy for stress that I've come across recently is taking an epsom salt bath. I hesitated trying this at first because who has time for a bath?? However, desperate times call for drastic (and rather wonderful) measures. I drew one up this afternoon and it was AMAZING. The only things missing were candles to set the ambiance. 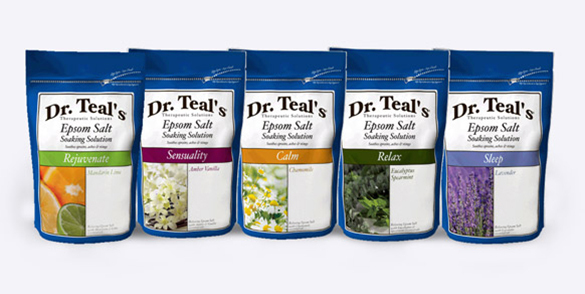 You can find epsom salt at any of your local grocery stores or pharmacies. I bought a huge bag for $5 at Target. I used Dr. Teals* Relax Spearmint epsom salt. It was perfect. So, what are you waiting for? 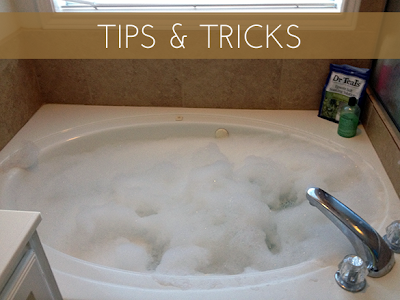 Treat yourself this week and take a relaxing bath. If you don't have a bath tub, I do recommend soaking your feet in this stuff. It's magical. I don't recommend letting your puppy in the room while you're bathing/soaking. Kimber tried hopping in a couple times! It was adorable. I hope this helps you get over the hump! Happy Wednesday! *This is not a sponsored post. It's just my opinion and recommendation. Like what you're reading? Follow me on Google Friend Connect (GFC), Blog Lovin', Pinterest, Twitter, or Instagram to get updates instantly!